Let’s face it: the minute you saw Star Wars for the first time, you wanted to become a Jedi Knight. While the real world may not have Force powers, Lenovo is teaming up with Lucasfilm and its parent company Disney to give anyone a chance to become as close to a Jedi Knight as they can. Today, as part of IFA 2017, Lenovo announced Star Wars: Jedi Challenges, a new smartphone-based augmented reality experience that’s due for release sometime this holiday for $199. 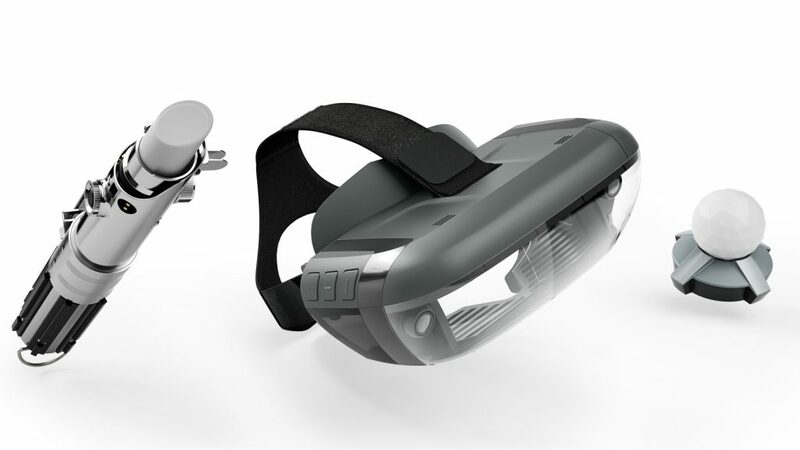 Lenovo has created a custom AR headset for Star Wars: Jedi Challenges, along with a Lightsaber Controller, which is designed to look like Luke’s lightsaber. Finally, there’s a tracking beacon, which is placed on the floor and tracks the AR headset’s movements with its cameras. Players will hone their Jedi talents across a variety of augmented reality-based experiences, each offering multiple levels of deep and immersive gameplay. To guide the player on this journey, Jedi Challenges will introduce an all-new Star Wars character, the Archivist. The Archivist instructs players in the ways of the Force and the knowledge of the Jedi. Throughout these challenges, users will train to perfect their lightsaber skills by taking on some of the most menacing villains the dark side has to offer, command armies in combat missions to defeat the Empire, and outwit their opponents in Holochess, all in augmented reality. The truth is, buying an AR headset, a custom controller, and a beacon to play just one game for $199 is going to be a challenge all by itself for consumers. We will have to see if the game is going to be worth that price. When it does go on sale, it will be available to buy via Lenovo’s web site, along with Best Buy. What are your initial impressions of Star Wars: Jedi Challenges? Do you think it could be worth spending $199 to check it out? Let us know what you think in the comments!